Royal Mail's Address from Postcode data file can be ordered as a single postcode area file or as a national UK file. Either file gives you EVERY address in a single postcode area (UB Uxbridge, B Birmingham, CV Coventry etc.) or EVERY address in the UK (business and residential). The Address from Postcode data is without any contention the definitive most up-to-date and complete address database in the UK. There are two product options: the UK file which has every address and postcode in the UK (28 million addresses both business and residential) OR just the addresses in your postcode area, which is the cheaper more address specific / smaller file. The Royal Mail's Address from Postcode data file is often used to capture, create and or maintain your in-house address lists. This includes web site registrations, forms and customer databases to reduce the number of returned or undelivered items from mailing programs. 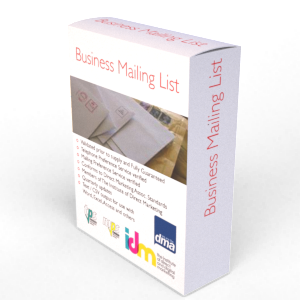 Obviously there are many more applications that you can use the address from postcode file for including mailing, planning leaflet distribution, door dropping logistics and navigation to name just a few of the applications! The Royal Mail's Address from Postcode data file is often used to capture, create and or maintain your in-house address lists or planning leaflet door drops, but also in website registrations, forms and customer databases to reduce the number of returned or undelivered items from mailing programs. Obviously there are many more applications that you can use the Address from Postcode file for including mailing, planning leaflet distribution, logistics, navigation to name just a few! Grid references can be appended to the Address from Postcode data for the appropriate licence fee or licenced separately for mapping and GIS applications. The Address from Postcode data file covers every known address in the UK and extracts can be taken either by postcode area or as a full UK supply (28 million address locations across the UK). A sample of the Address from Postcode file can be found above, this will also provide you with the data fields that are provided for each record. The Address from Postcode data file is licenced by the year. Various options are available including single, corporate, multi user and internet licences. The Address from Postcode data file is the most up-to-date and complete address database available for UK addresses, containing a mixture of business and residential sites and over 28 million addresses. For your licence fee you will receive the very latest file which will be valid for 12 months use and this includes quarterly updates to ensure it stays up to date.